Eline Strijkers judge for the Dezeen Awards 2019.
the very best of the real estate industry. We are closing for the holiday's with a big milestone. On the 19th of December the highest point of the 'New Village' building in Arnhem was reached! This healthy building is designed from the inside-out with a user centered approach. The apartment building and innovation center will help train people with a disability to regain control of their lives. Op 21 november 2018, van 10.00 uur tot 17.00 uur, is het Design Museum Den Bosch gastheer van de toekomstgerichte architectuurconferentie ‘The Next Power of Dutch Architecture: A Change of Perspective’, een project van ROAM foundation. Vijftien vooraanstaande vrouwen in de Nederlandse architectuur geven hun visie op de vraag: hoe overleven we, als mensheid en als planeet, in de komende eeuwen, wat is daarvoor nodig, en wat kunnen architectuur, stedenbouw en landschapsarchitectuur daaraan bijdragen? Prooff stand on Orgatec 2018 designed by DoepelStrijkers! Curious? Read the interview about our collaboration with Prooff and the stand on the Prooff website! Circl published in Frame Magazine! Madurodam shows the smallest KPN store in the world! The design of all the new stores of KPN in the Netherlands is from DoepelStrijkers. The store is comprised of two main elements. A central object composed out of modular elements for seating, displaying smartphones, tablets, handsets and the latest gadgets and accessories; and the smart wall that is positioned around this object. DoepelStrijkers designs on behalf of Prologis, the leader in logistic real-estate world wide, a Circular WELL Interior for the office and distribution center of DC5 in Tilburg. The design is based on the by DoepelStrijkers developed Toolbox for circular well interiors. Together with the International WELL Building Institute, WELL AP M3e Groep, landscape architects Plein 06 and contractor Sprangers, the office designs in the architecture of Johan de Vries, a unique interiorpilot which showcases an innovative building standard aimed at raising wellbeing for the staff at distribution centers. CIRCL interior published in the march issue of 'de Architect'. To view the whole article, go to the publications section on our website. Publication Brabants Dagblad with an interview with the director of the museum Jeroen van den Eijnde. Some of our models are now on display in Circl Amsterdam until February 2nd. Eight projects show eight sustainable design solutions. The exhibition was part of the talk 'Challenges of the Circular City, organized by ULI. On the 15th of January 2018 a working visit to The Green Village in Delft by State Secretary Mona Keijzer (Economic Affairs and Climate), deputy Adri Bom-Lemstra (South Holland) and MRDH board member Maarten Struijvenberg announced that the project Dutch Windwheel : 'Smart Spaces as a Service' receives financial support from the IPC Zuid-Holland. Over the next two years eleven SMEs will develop a smart, circular and flexible office, hotel and living space. Here, companies from the interior industry work together with technology companies that specialize in sensors and ICT. CIRL NOMINATED FOR FRAME SUSTAINABILITY AWARD! Great News to start 2018; FRAME AWARDS NOMINATED THE CIRCL INTERIOR ABN AMRO BY DOEPELSTRIJKERS IN CATEGORY SUSTAINABILITY. Our proposal to make vulnerable neighbourhoods in Venlo more attractive is selected together with three others by Museum Bommel van Dam / Circular Art Lab Limburg. Ellen Köhler made a portrait, together with photographer Dirk Bruniecki, of 4 Rotterdam based offices; Ellen van Loon, OMA, Nathalie de Vries, MVRDV, Eline Strijkers en Duzan Doepel, DoepelStrijkers en Daan Roosegaarde, Studio Roosegaarde. An article about the ABN Amro CIRCL pavilion in Amsterdam with a flexible interior with endless spatial configurations. ABN AMRO wants to speed up the transition to a more sustainable society. They have built a circular pavilion: durable from foundation to roof and from design to operation. Pernille le Lau makes a series of Vlogs about CIRCL, the circular pavilion of ABN AMRO. Vlog 2 is now ready! First students visit the Watershed pavilion on the Dakpark in M4H Rotterdam. ‪Our watershed pavilion, originally designed for the World Cities Expo Edinburgh 2016, presenting Rotterdam Climat adaptation strategies, gets A second life in Rotterdam on the 'dakpark' in M4H! Great initiative by the municipality of Rotterdam. Start construction first new building in 'Het Dorp' Arnhem. 'Het Dorp' starts to make the smartest possible care environment. Na jaren van voorbereiding is zorgorganisatie Siza afgelopen maand gestart met de bouwvoorbereiding van het eerste nieuwe gebouw in Het Dorp. Op dit moment vinden de grondwerkzaamheden plaats. Hiervoor moesten twee oude gebouwen: ‘de Enkweg’ en ‘de Meentweg’ het veld ruimen. Er is duurzaam gesloopt en met oog voor de natuur en omgeving. Tot nu toe is er in Het Dorp 6.500 ton aan sloopmateriaal ‘geoogst’, waarvan 99% bestemd is voor hergebruik. Hiervan wordt 53% gebruikt in Het Dorp, bijvoorbeeld als ondergrond voor nieuw aan te leggen paden. Het overige deel wordt elders ingezet of gerecycled tot nieuw bouwmateriaal. Een klein gedeelte van het gebouw aan de Meentweg staat nog overeind. Hierin is een vleermuispaartje gehuisvest. Voor deze beschermde diersoort zijn vervangende kasten opgehangen. Zodra de vleermuizen hier zijn ingetrokken, wordt ook het laatste gedeelte gesloopt. Dit heeft geen invloed op de nieuwbouw. Naar verwachting gaat de bouw na de bouwvak van start. Deze verloopt in fasen: gestart wordt met het bouwen van de begane grond die deels onder het maaiveld ligt. Daarna het casco, de gevel en het dak, vervolgens de installaties en de afwerking. Als alles volgens planning verloopt, wordt het gebouw in het tweede kwartaal van 2018 opgeleverd. In het gebouw komen 36 zorgappartementen en het innovatiecentrum ‘Academy Het Dorp’. De bewoners van het nieuwe gebouw zijn mensen met een lichamelijke beperking of hersenletsel, zij wonen er tijdelijk; tot maximaal 36 maanden. Tijdens hun verblijf leren zij hun leven zoveel mogelijk zelf te organiseren met behulp van slimme technologie en specialistische begeleiding. 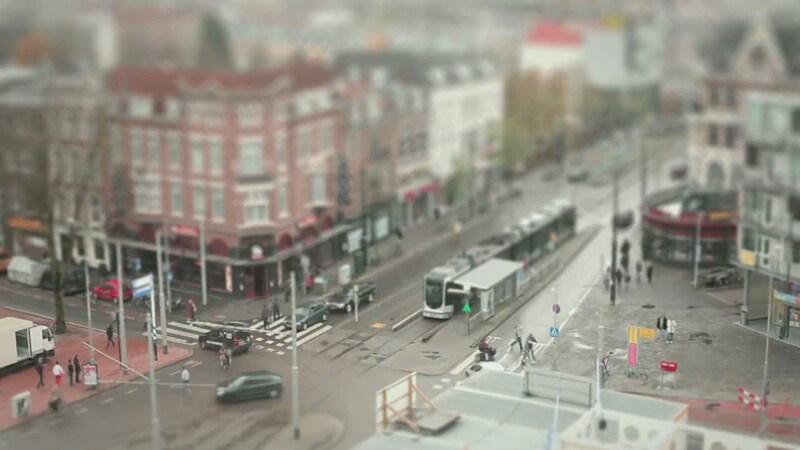 Aankomende jaren vernieuwt Het Dorp in Arnhem stap voor stap. 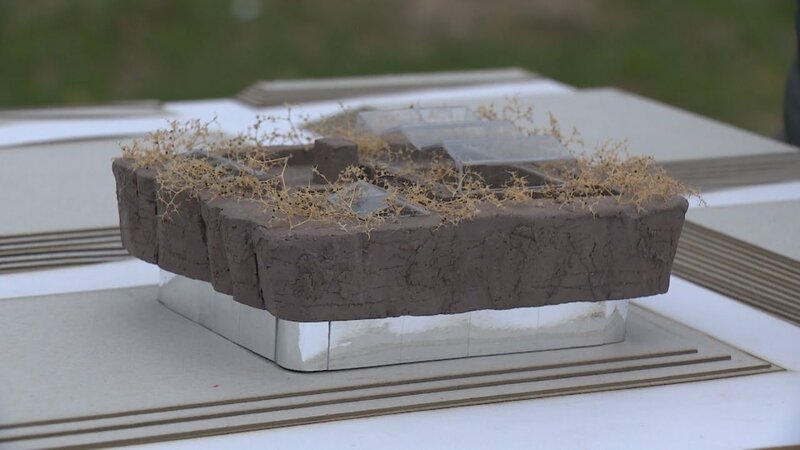 Het nieuwe Dorp wordt een duurzame, groene en innovatieve wijk voor mensen met en zonder beperking. 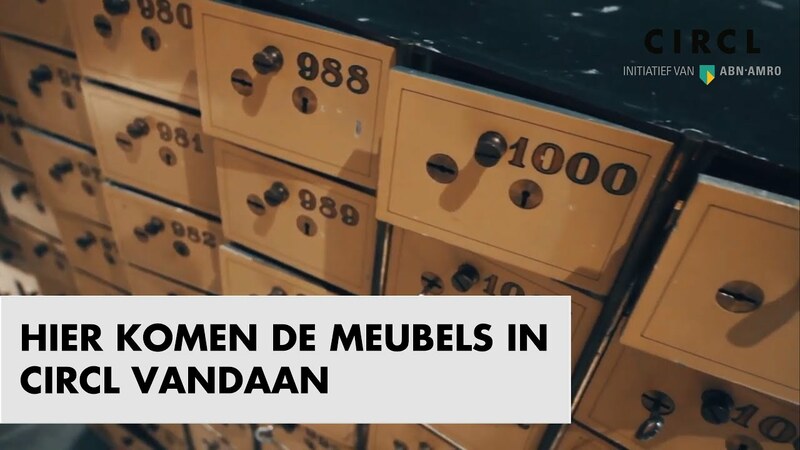 Mensen met een beperking kunnen hier wonen met specialistische zorg in de nabijheid en met als doel een zo zelfstandig mogelijk leven te leiden. Listen to Duzan Doepel and Jacco Saaman from Spie about the Green Deal Dutch Windwheel and the design of the building. The nine layered building, comprising of 40 apartments, is situated above an existing parking garage and falls under the master plan designed by MVRDV. The building is characterized by it’s stepped façade and winter gardens on the east and west facades. This flexible outdoor space functions as a climate zone, optimising its use the whole year round. DoepelStrijkers signs Greendeal Dutch Windwheel with Dutch Windwheel Corporation (Bloc, Meijsters, DoepelStrijkers), Minister Kamp, Deputy Bom-Lemstra and Alderman Struijvenberg from Municipality of Rotterdam. Secret Cinema Antwerp designed by DoepelStrijkers is now open to the public! Together with Spacecreators we built the interior for the smallest cinema in Antwerp. Falconrui at the Schipperskwartier is the home base for Secret Cinema, a former warehouse with now a multifunctional space at ground level. The innovation workshop, the first building of the Floriade! Broadcasting Buildings Omroepflevoland.nl Dolores Leeuwin takes us to the world of plans and ideas that hide behind the many buildings in Flevoland. DoepelStrijkers designs the interior for ABN AMRO of the circular pavilion by de Architekten Cie. on the South axis in Amsterdam, with a surface area of 3500 m2. This 100% circularly designed building and interior is a primeur in the Netherlands. The pavilion will be accessible to the public and includes a conference center, podium, exhibition space and catering. The programming of the pavilion addresses current societal issues and those of the immediate sourounding neighbourhoods. Partnership with innovation partners Dutch WindWheel has been signed. The Dutch Windwheel will use advanced, efficient technology solutions. Solutions that need to be further developed. 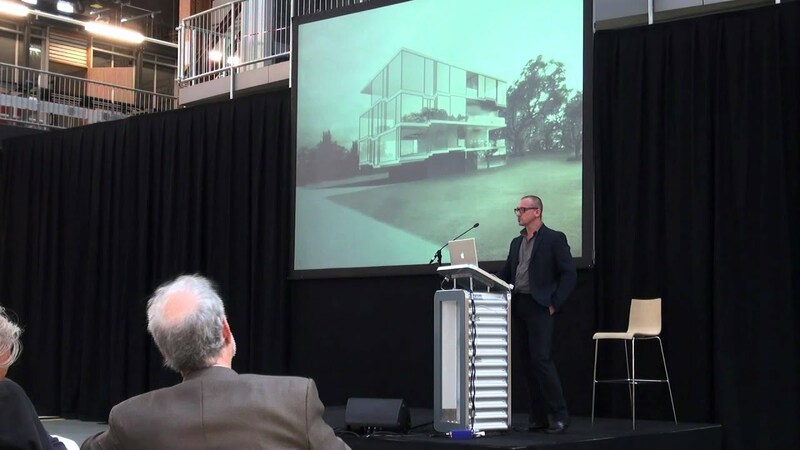 Wednesday, November the 30th, 2016 the BNI has organized a debate about the future of the interiorarchitect in cooperation with the BNA and BNO at Pakhuis de Zwijger in Amsterdam. With Giovanni Colauto, Joost alferink, Richard van der Laken, Saskia van Stein, Alice Rawsthorn, Ravi Naidoo, Rosa Bertoli, Safia Qureshi. Eline Strijkers Chair committees Habitat and Design Research. 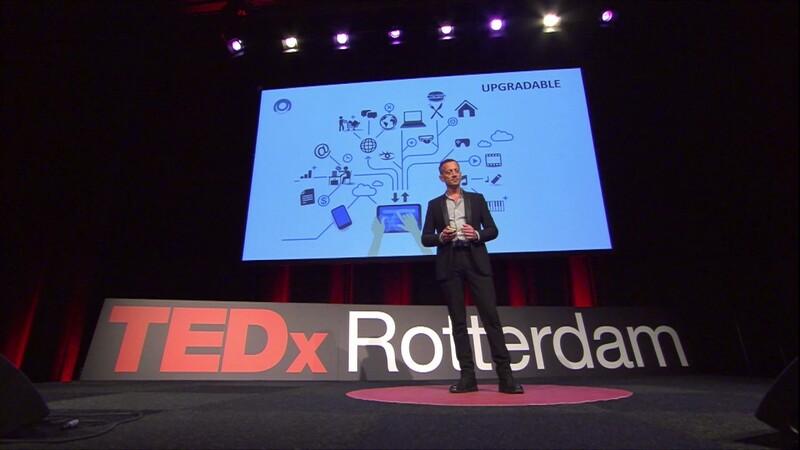 November 4th, Duzan Doepel will give a TEDx TALK about building innovation during TEDx Rotterdam in the van Nelle Factory. Join the main event of TEDxRotterdam 4th November and aspire to be inspired by everyone and everything the day has to offer you. This event will take place from 10:00-18:00 at the Van Nelle Fabriek in Rotterdam. The doors open at 09:00. On 12 April Duzan Doepel gave a lecture about the Dutch Windwheel at the Spie Bussiness Event InSPIErations. Parts of this lecture are used in this movie. For the City of Rotterdam DoepelStrijkers designed this pop up pavilion in cooperation with many partners. On 09 May 2016 Mies Bouwman attended the launch of the Academy Het Dorp. 100 innovative companies and researchers are committed to develop new health care concepts with Siza. Future proof retail for KPN is the winner of a Red Dot Design Award 2015! This year there were 4680 entries from 61 countries worldwide. Within the category 'Design Concept 2015' Future proof retail for KPN has conferred the 'Red Dot Honourable Mention Award'. website the Dutch Windwheel online! Meet the Dutch Windwheel. The sustainable icon and future landmark in Europe’s largest port city. An attraction with unprecedented global reach and showcase for Dutch Clean Technology. Our economy is shifting from closed and linear towards open and circular. Social design is an emerging field of practice, in which not only products but also processes and relationships are redesigned in a more smart, inclusive or sustainable way. The ARC14 Achitecture prize promotes recently realised projects that demonstrate sustainable innovation. The winners will be announced in e ceremony on the 27th of November. From 30 October to 15 December 2014, the African Centre for Cities (ACC), in collaboration with the City of Cape Town and various partners, will mount a wide- ranging exhibition on the very soul of Cape Town and South African cities in general. This exhibition will offer Cape Town residents and visitors a penetrating insight into the challenges and possibilities facing South African cities; dynamics that echo in cities across the world as they contemplate their purpose in this urban century. This is a first of its kind exhibition ever put up on any African city. Doepel Strijkers and the Research Center RDM contributed to the development of an incremental densification strategy for Lotus Park. The institution 'DOEL' helps socially vulnerable people with a psychiatric background to reintegrate into society. DOEL is currently embellishing a curtain for us for our client Lely by sewing silver strips onto felt that carries the patent drawing of the Lely milking robot. Just a small piece of a very big curtain for the auditorium. It will take some time but the are doing a great job! work of DoepelStrijkers exhibited at exhibition. opening 25th of september. PAVILLON DE L'ARSENAL 21, bld Morland 75004 Paris. 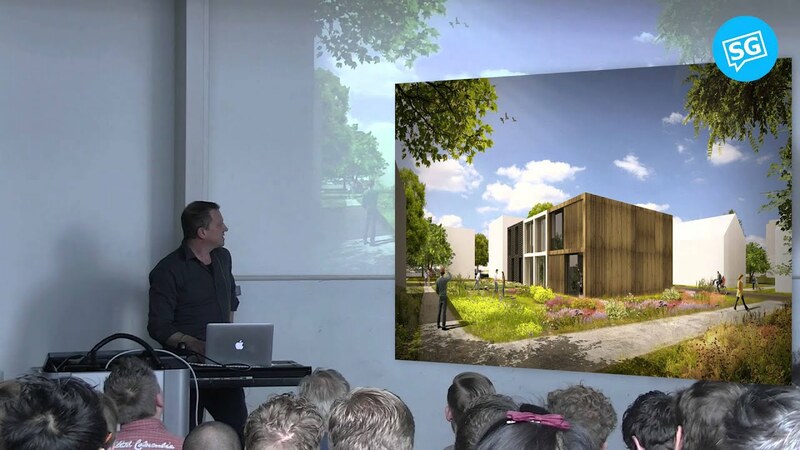 The International New Town Institute and the African Centre for Cities in Cape Town have selected 5 Dutch offices (including Doepel Strijkers) to participate in The Density Syndicate as part of the Cape Town World Design Capital 2014. It is also a programmatic component for NL@WDC2014, an initiative of the Netherlands Consulate-General in Cape Town. 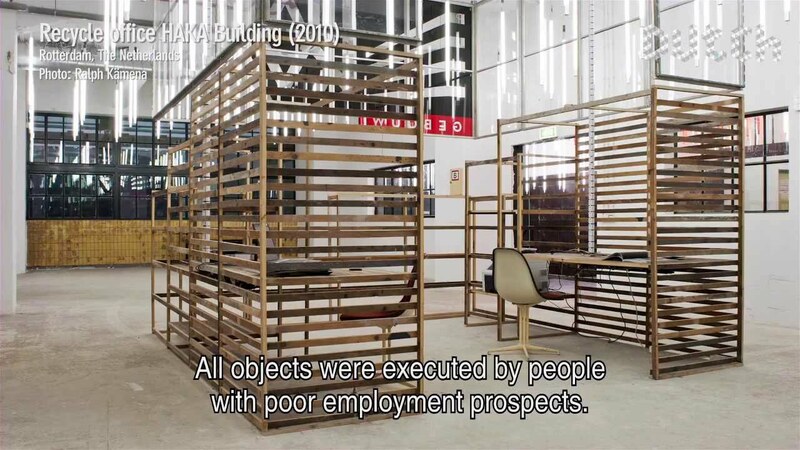 Showcasing young Dutch architectural firms who have pragmatically adjusted to the political, economic and cultural changes in society. Through their actions, they have redefined the boundaries of the profession. The projects shown are examples of new forms of collaboration, new instruments for financing structures, product development for homebuilders, interconnected and sustainable use of energy and material flows and vacant lots as the sites for social renewal. 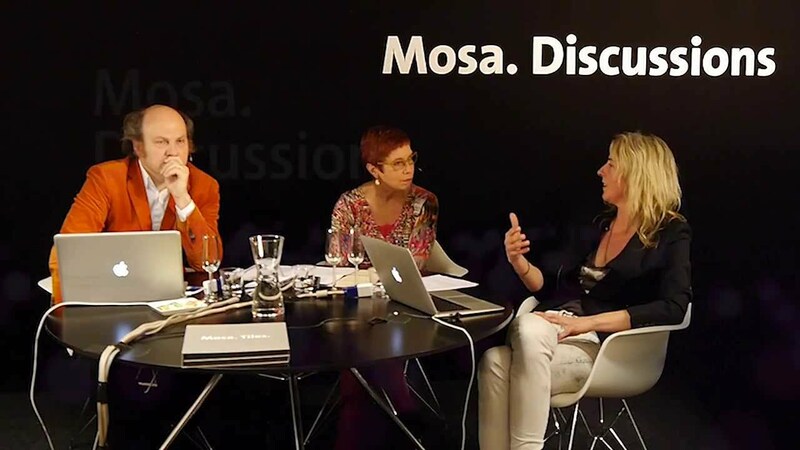 Eline Strijkers in MOSA discussions with Willem Jan Neutelings # 5 Skin. Moderator Tracy Metz. Manifestation Think LIink shows an innnovative way of design in times of crisis, reduction of natural resources and the wasteproblem. 'The road to Van Eyck' until February 10, 2013 at Museum Boijmans van Beuningen. Clothes by five designers whose work defines contemporary Dutch fashion will be on view in Arnhem from Saturday 2 June through Sunday 29 July 2012. Objects, photographs and scale models created by product designers, photographers and architects will also feature in the exhibition Basic Instincts: Dutch Fashion in Context, hosted at the Eusebiuskerk by Premsela and the Museum voor Moderne Kunst Arnhem. Basic Instincts first appeared in Berlin in July 2011. By Droog in collaboration with Jan Konings, Kosmopolis Rotterdam and Netherlands Architecture Institute (NAI), the symposium will feature design proposals and interventions by Jan Konings, TD Architects, Thomas Lommée, Crimson with Maxwan and Doepel Strijkers Architects. Designers, politicians, entrepreneurs and residents of Tarwewijk will enter into discussion about questions like: how can local entrepreneurship strengthen both economic and social vitality of a neighbourhood? And how can design interventions and strategies be more valuable in the long term? After all, the effect of these kinds of interventions - although well-intentioned, often turns out to be short-lived. This symposium, moderated by journalist Yvonne Zonderop, will feature Ole Bouman, Charles Renfro (Diller Scofidio + Renfro), artist Jan Konings, Renny Ramakers (Droog), historian Wouter Vanstiphout (Crimson) and Robert Kloosterman (professor of Economic Geography and Planning, University of Amsterdam). 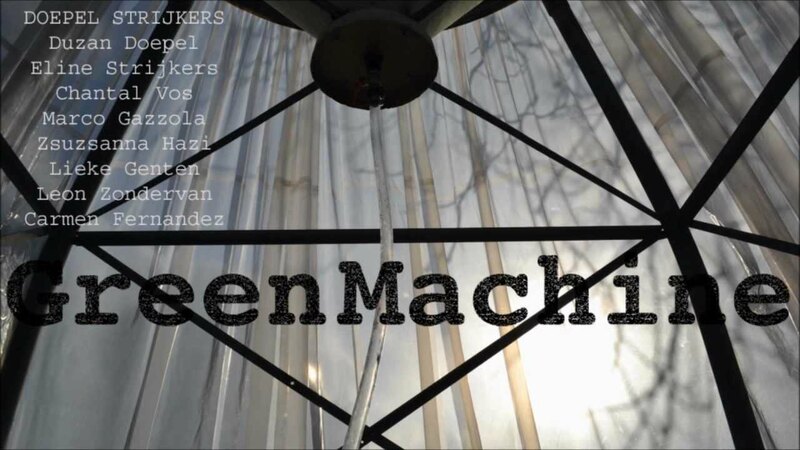 The GreenMachine is, commissioned by Droog Design for the project WIJkonomie Tarwewijk, realized and in collaboration with Cultureel Denkwerk and Wijk- Speeltuinvereniging Tarwewijk exploited. DOEPEL STRIJKERS wins Annual Outstanding Designer Award and Award in the 9th Modern Decoration International Media Award held on December 8 in Shenzhen. 'A total of six designers won the 2011 “Outstanding Designer Award” by Modern Decoration International Media Award. “A fault line runs through the architectural profession separating academics from practitioners, thinkers from doers, those who imagine from those who build. Straddling this line, and connecting the realms on either side, are emerging architects who both teach and practice. It’s a difficult balancing act to pull off, but it often spurs an exciting form of creativity shaped by tension and risk-taking. Many of the architects in this year’s Design Vanguard epitomize this kind of back-and-forth career, combining academic research with the nuts and bolts of delivering real buildings to real clients. From Berkeley to Barcelona, and Glasgow to Winnipeg, partners in many of this year’s firms have established a fluid relationship between intellectual exploration and making projects happen. In doing so, they enrich both spheres of work. Firms shown here are bridging other types of divides, too, crossing national boundaries, for example, and connecting eras by tapping the spirit of traditional buildings in works of modern design.”—Clifford A. Pearsons. DOEPEL STRIJKERS wins Outstanding Designer Award and Office Space Award at the 9th Modern Decoration International Media Award held on December 8 in Shenzhen. Duzan Doepel with Rients Dijkstra, Jan Dirk Hoekstra, Arnold Reijndorp and Michelle Provoost with Chinese counterparts. Premsela, the Dutch institute for fashion and design, presents the exhibition in Berlin ‘Basic Instincts. The exhibition connects the work of five prominent Dutch fashion designers with product design, architecture and art. The exhibition opens on June 30, 2011 at Villa Elisabeth in Berlin and is a sight to July 31. Then they travel and eventually it will visit the Netherlands. Five fashion designers are central to Basic Instincts: Iris van Herpen, Klavers van Engelen, Monique van Heist, Oda Pausma en Anne de Grijff. Because fashion does not stand alone, the exhibition also presents work by product designers, architects and artists. Among other architectural office Doepel Strijkers Architects, designers Pieke Bergmans and BCXSY, and artists Navid Nuur and Amie Dicke are participating in the exhibition. Parksite wins the AM NAi Public Prize 2010. Thanks to all who for us! The project SPRMRKT STH has won in China the 'Annual Commercial Space Award' in the Modern Decoration International Media Prize 2010. 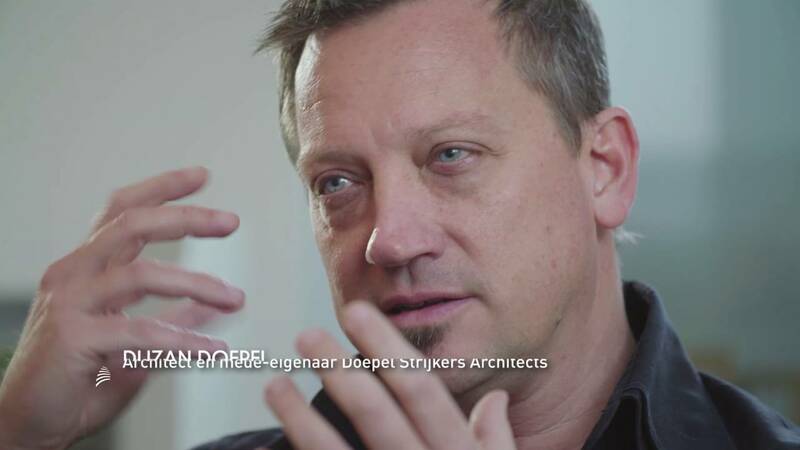 Duzan Doepel will give a talk at the seminar on visions, experiences, dilemma’s and solutions on urban planning mechanisms and architecture and their role in transforming cities and neighborhoods into green living and working spaces on November 17th in Chicago. SPRMRKT STH nominated for the Lai prize 2010. The winner will be announced on Thursday 25 November 2010. Doepel Strijkers Architects (DSA) i.c.w. Lex Architects is the winner of the Dutch Design Award 2009 for best private interior. 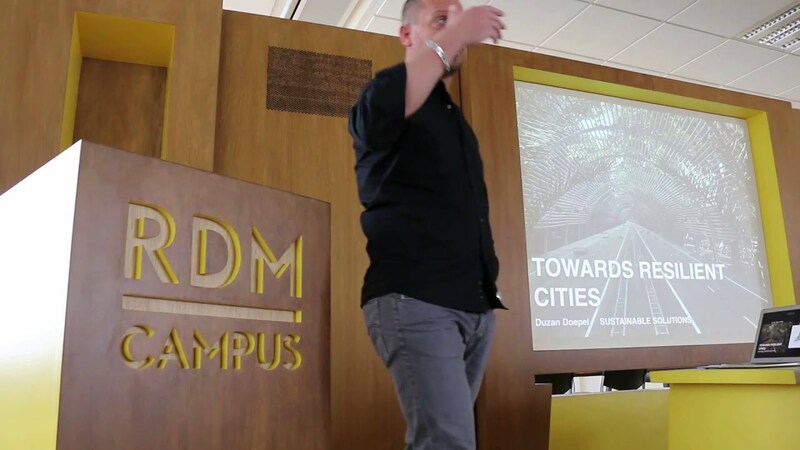 Hybrid Architecture for Renewable Cities - Duzan Doepel is giving a lecture in the 'Center for Architecture' in New York. Eline Strijkers takes part in Jury for the Master Graduation of Interior Architecture at the Campus in Gent, Belgium. Eline strijkers takes part in the debate 'The status of interior architecture' at flagplant session 8 in Van Nelle factory in Rotterdam during the 100% design fair. REAP (Rotterdam Energy Approach and Planning) is offered in The Hague to the minister of public housing; Jacqueline Cramer. REAP is a publication by DSA, the Municipality of Rotterdam, JA and TU Delft for the Rotterdam Climate Initiative.